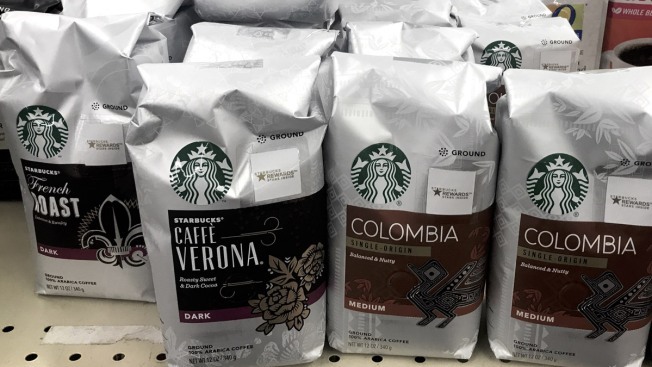 This April 15, 2018, file photo shows Starbucks-branded items for sale at a supermarket in Philadelphia. Nestle has entered an agreement to bring Starbucks products to millions of homes worldwide, announced Monday, May 7, 2018. Nestle is paying more than $7 billion to handle global retail sales of Starbucks's coffee and tea outside of its coffee shops. The deal comes with a huge price tag for Nestle, but it could pay off big for the Swiss company. Its Nescafe and Nespresso don't carry anywhere near the heft in America that Starbucks brand does, with its $2 billion in annual sales. The deal gives Nestle the rights to market, sell and distribute Starbucks, Seattle's Best Coffee, Starbucks Reserve, Teavana, Starbucks VIA and Torrefazione Italia packaged coffee and tea. It will also be able to put the Starbucks brand on Nestle single-serve capsules. 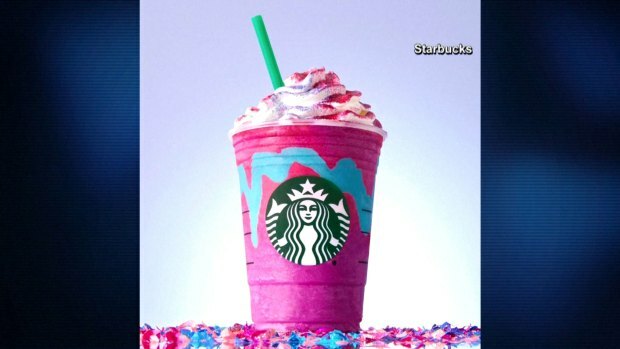 The agreement excludes bottled drinks like ice coffees and Frappuccinos that are sold in and outside of Starbucks stores. Nestle had hinted last year that it was looking at focusing on higher-growth areas like pet care, coffee and infant nutrition. In January it announced it was selling its U.S. candy business to Italy's Ferrero for approximately $2.8 billion. With the strength of the Starbucks brand, Nestle will be able to better compete against JAB Holdings, an investment holding company that has gobbled up businesses and brands associated with Peet's Coffee & Tea, Caribou Coffee Co., Stumptown Coffee and Krispy Kreme Doughnuts. Nestle announced Monday that Starbucks Corp. will receive $7.15 billion in an up-front cash payment. Approximately 500 Starbucks employees will join Nestle, and operations will continue to be located in Seattle. The deal is subject to regulatory approval and is expected to close by the end of the year.